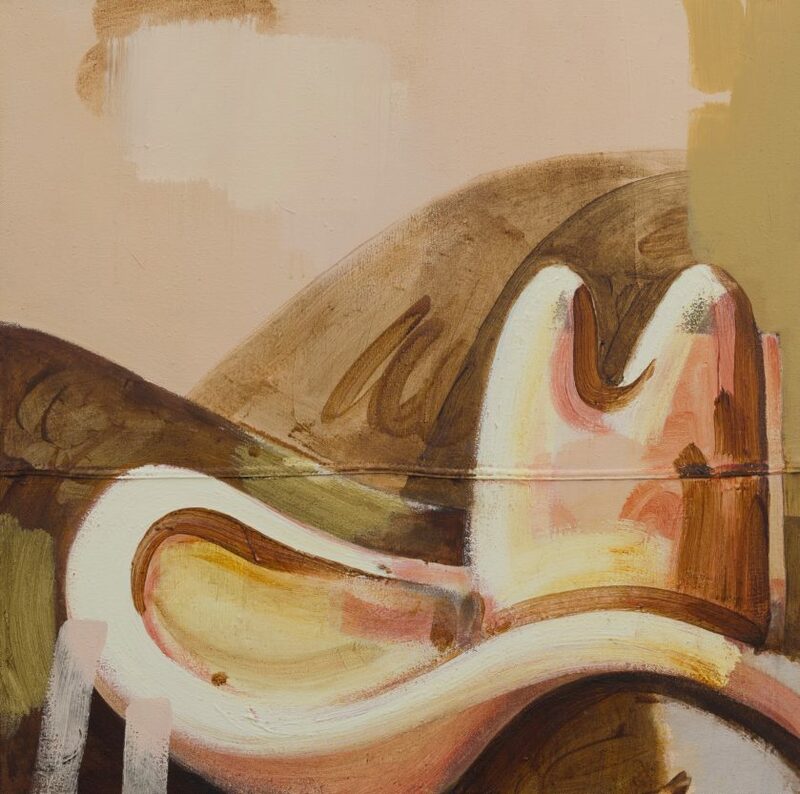 Tim Melville is proud to present On the Lam, Christina Pataialii’s first exhibition with the gallery. 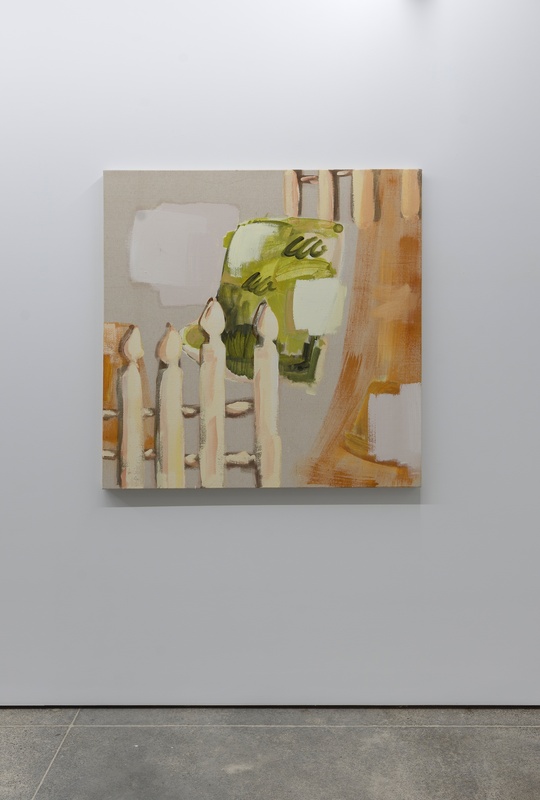 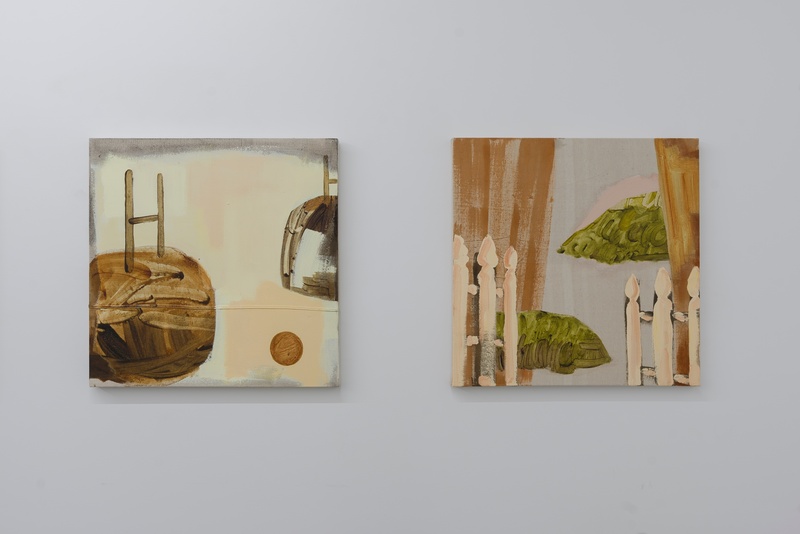 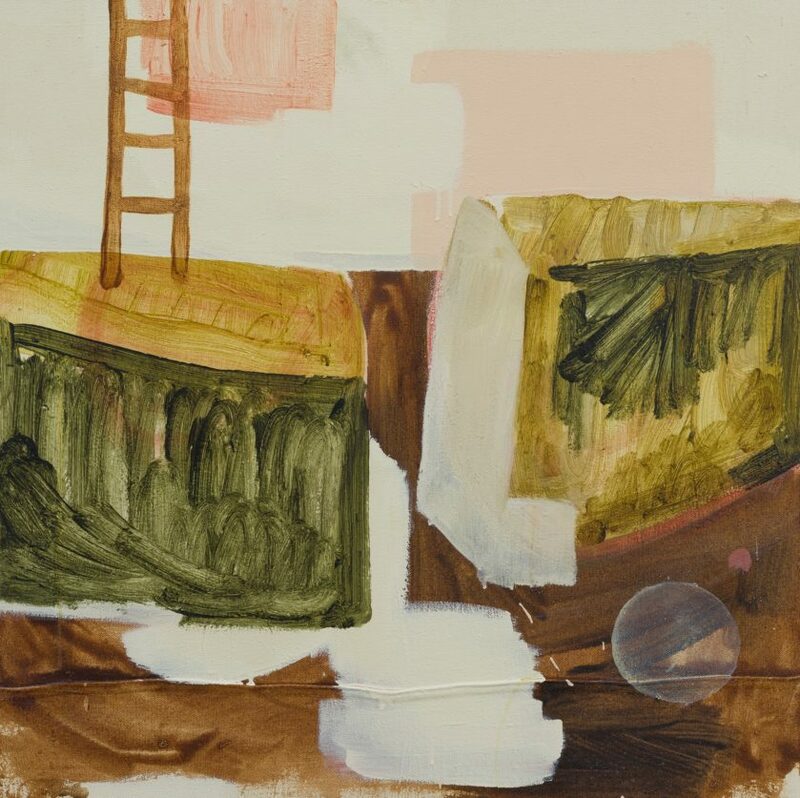 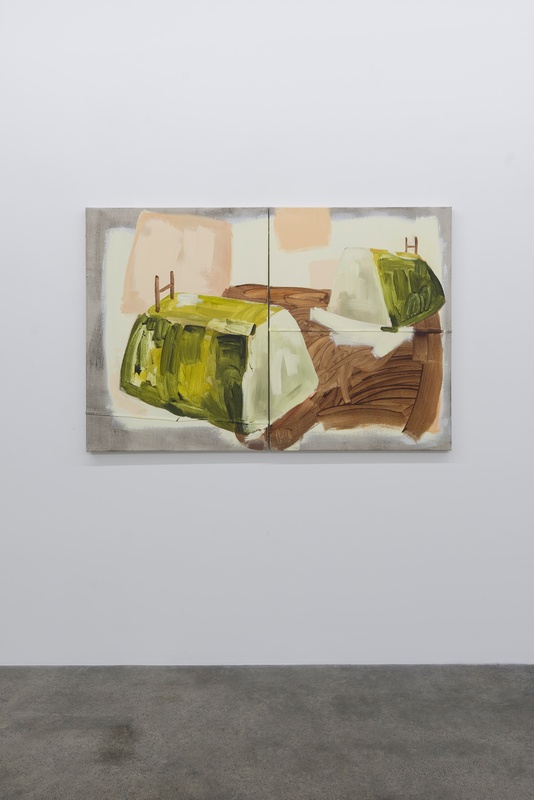 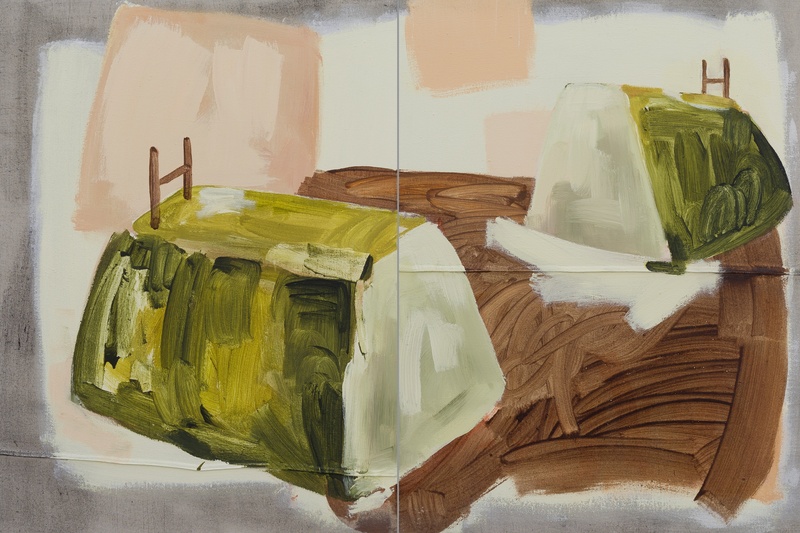 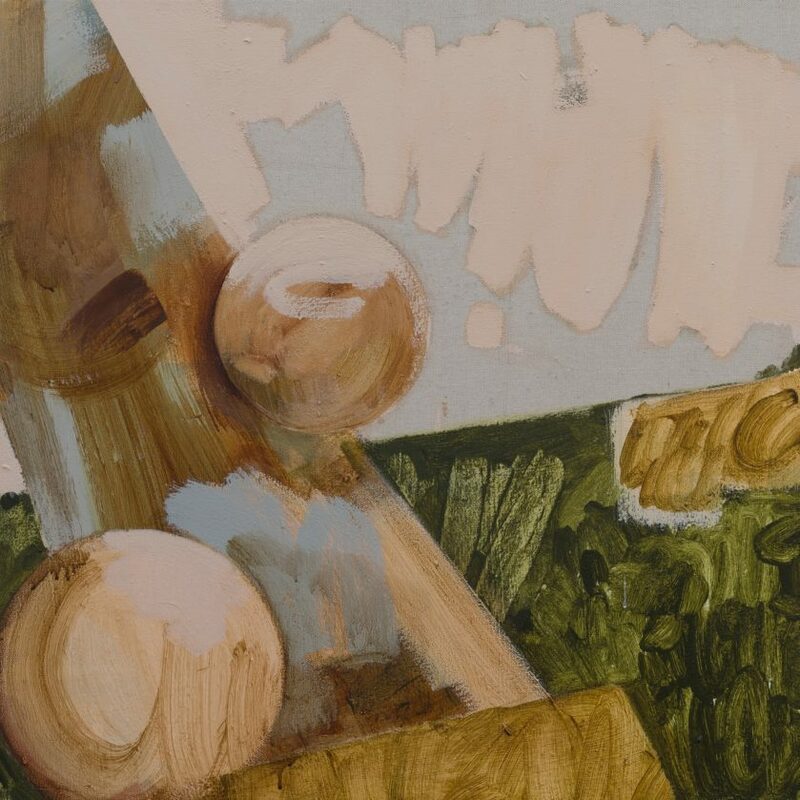 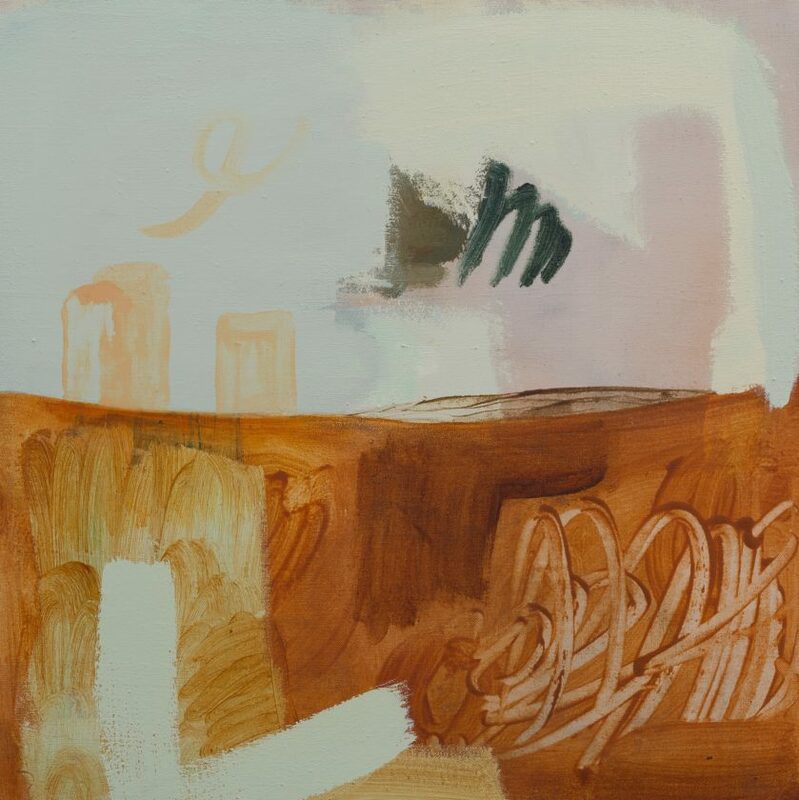 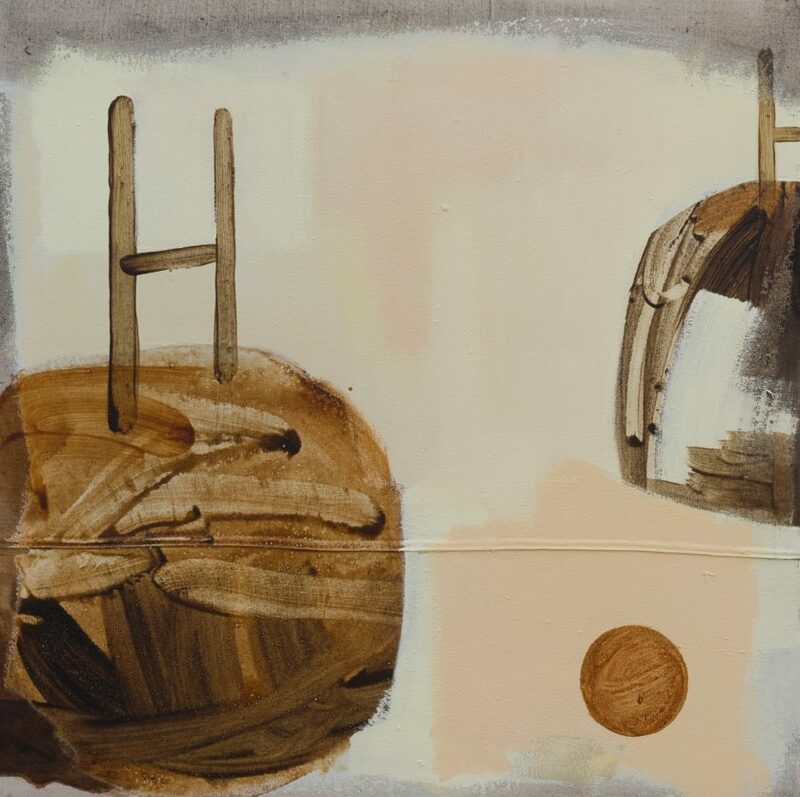 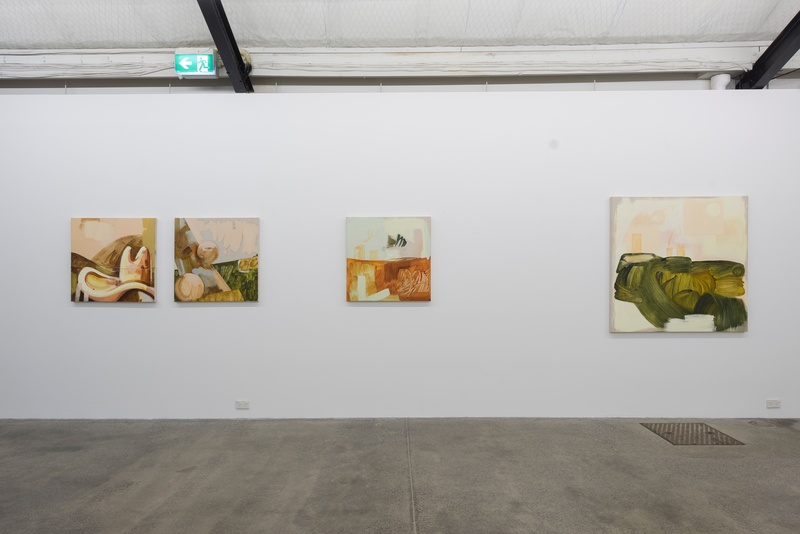 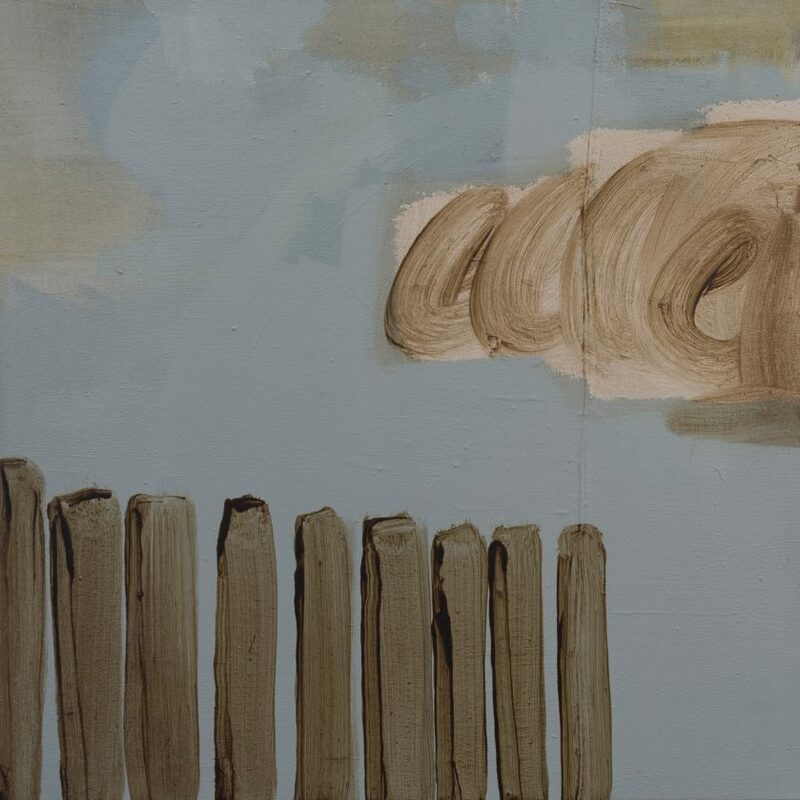 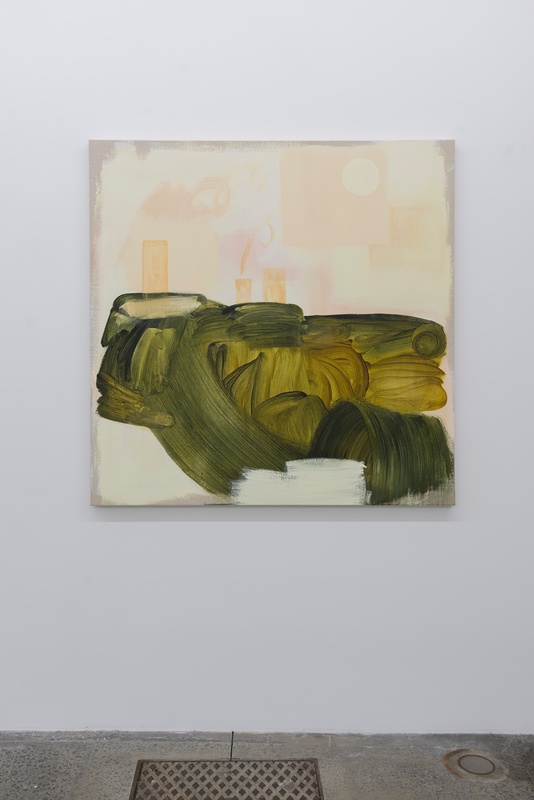 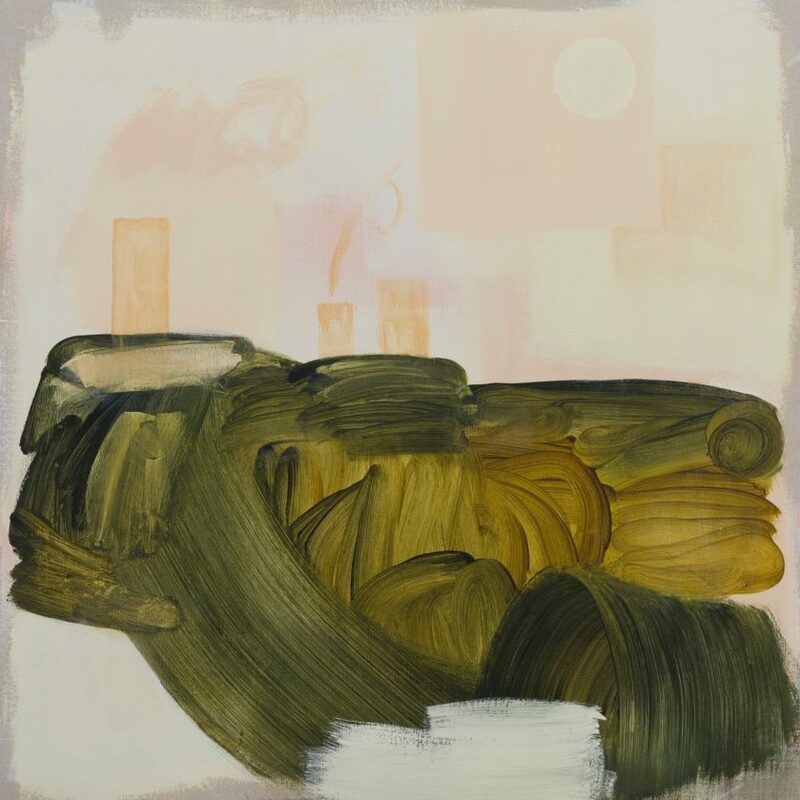 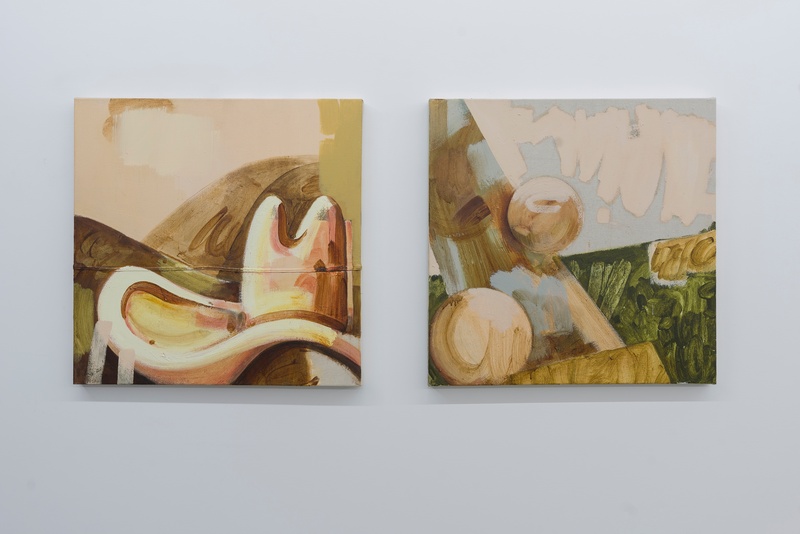 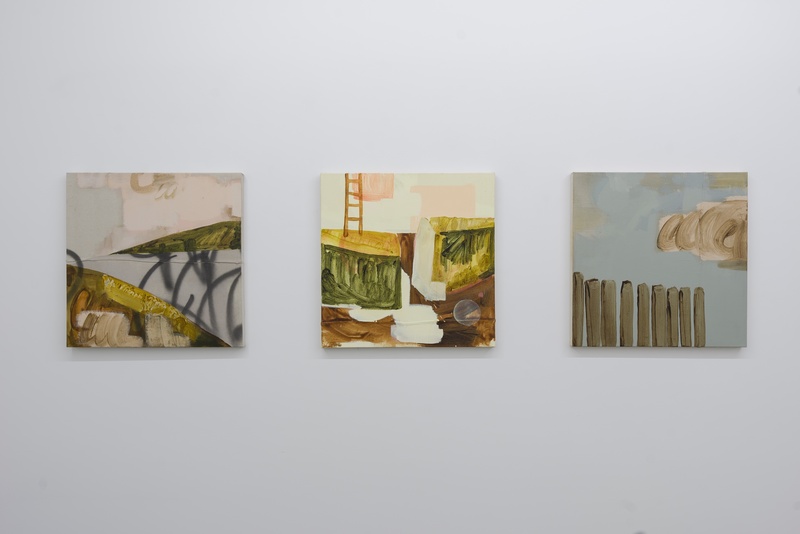 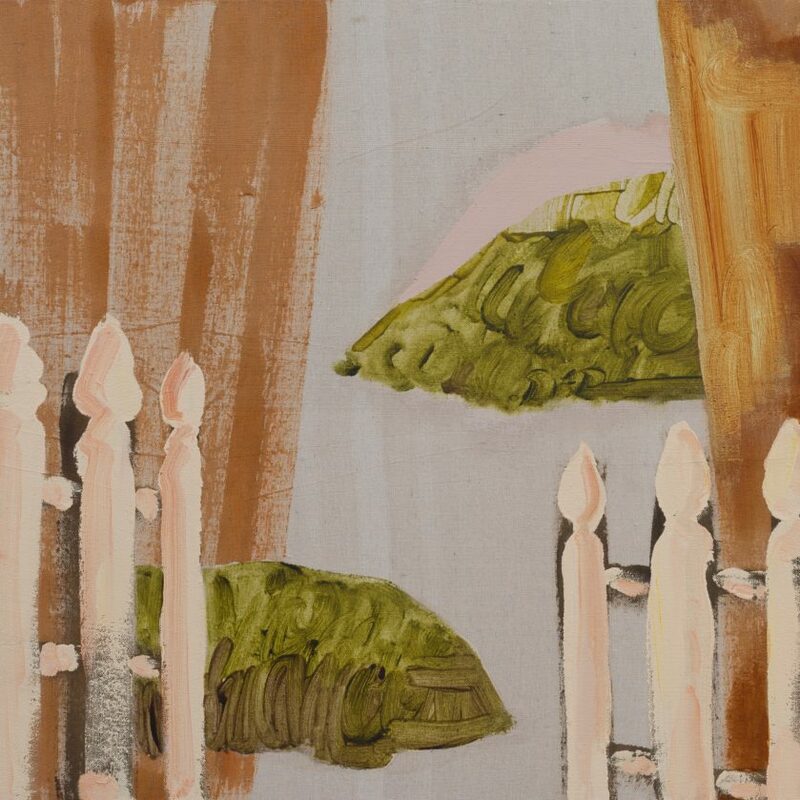 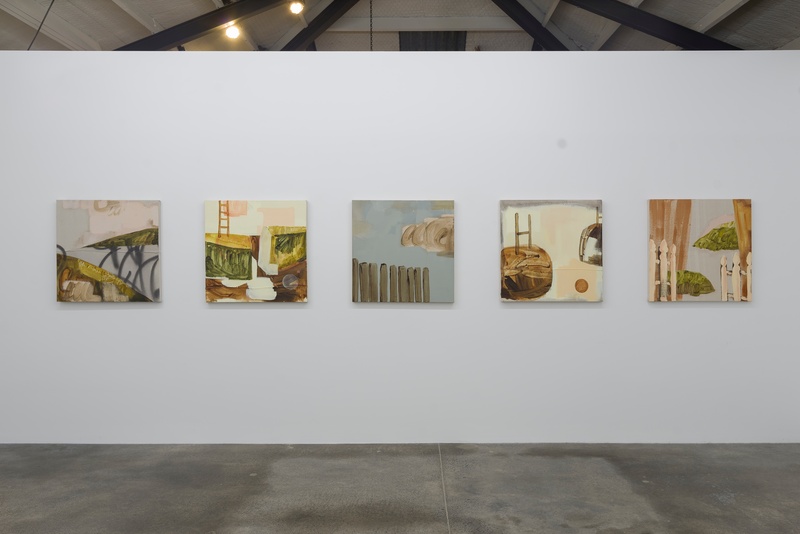 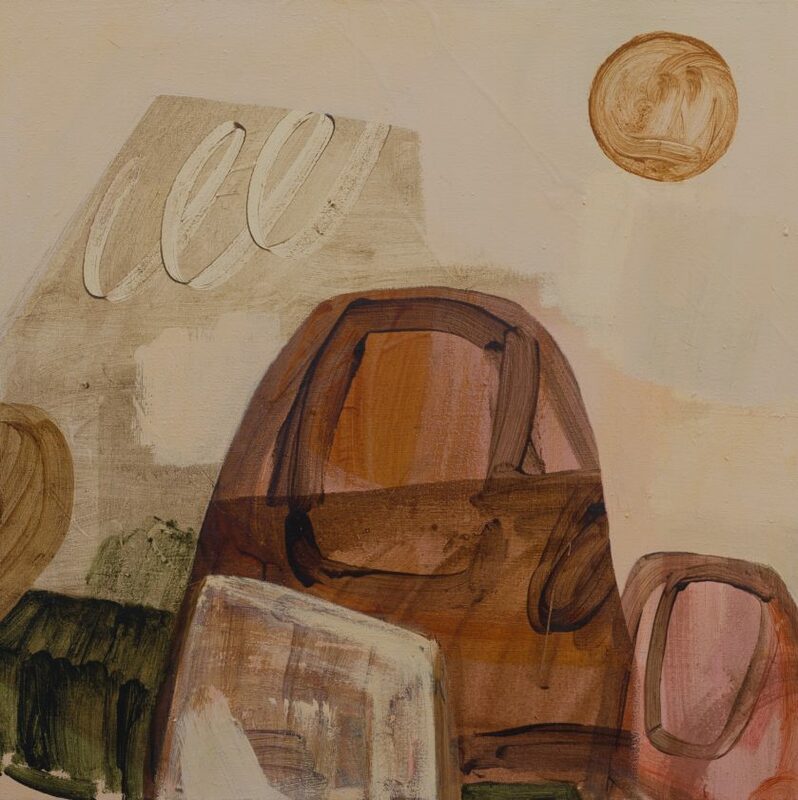 In this suite of a dozen paintings in acrylic and house-paint on canvas drop-cloth the artist examines her experience growing up in working class migrant communities in Auckland’s western and central suburbs. 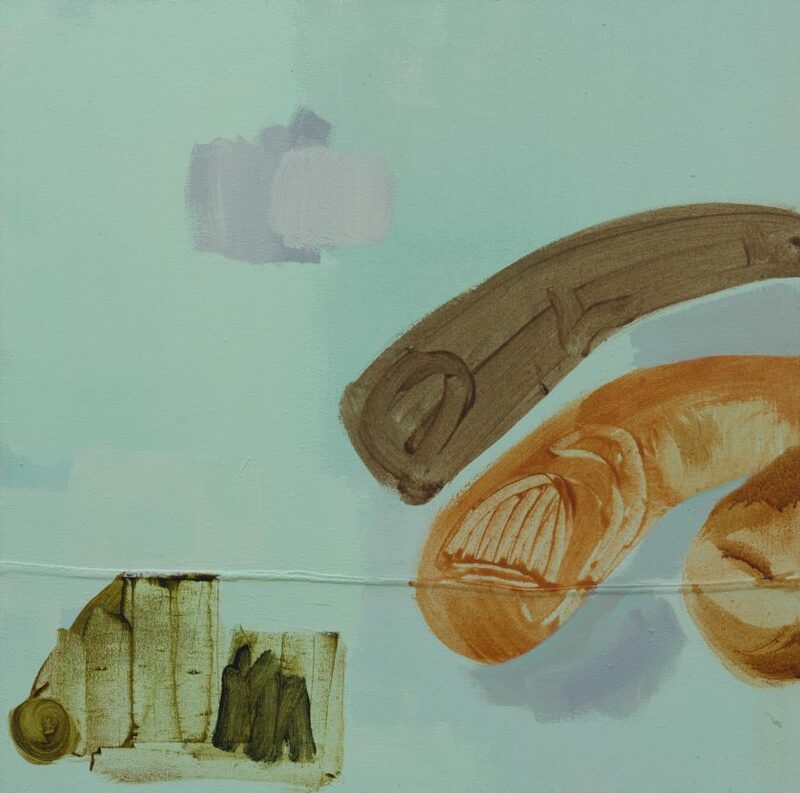 Pataialii considers the sense of mobility attached to that experience while at the same time questioning historical notions of ‘single’ cultural identities. 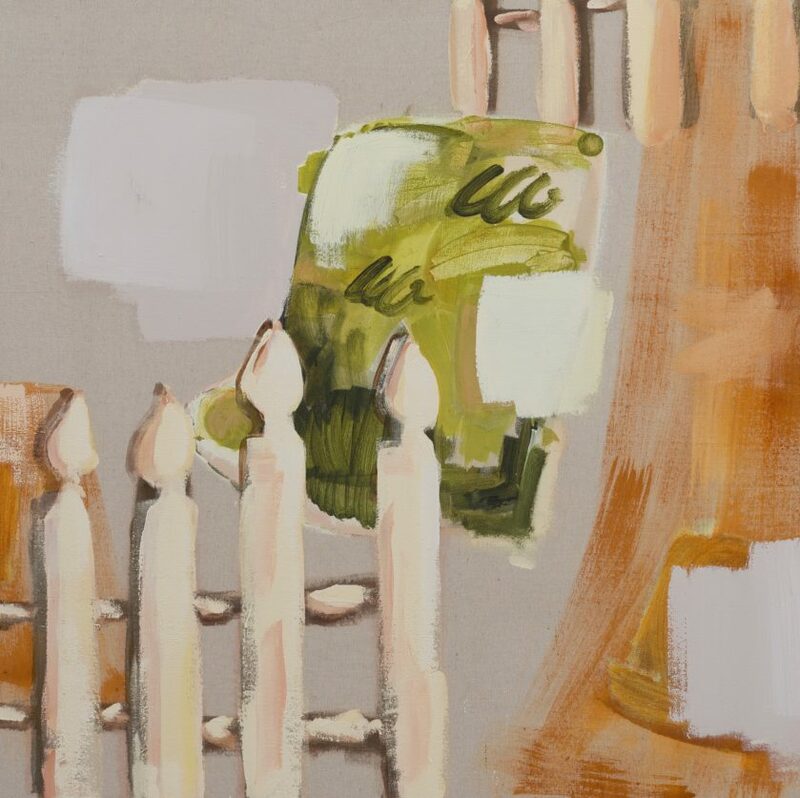 On the Lam is an acknowledgement of the complexity of inheritance and collective nostalgia. 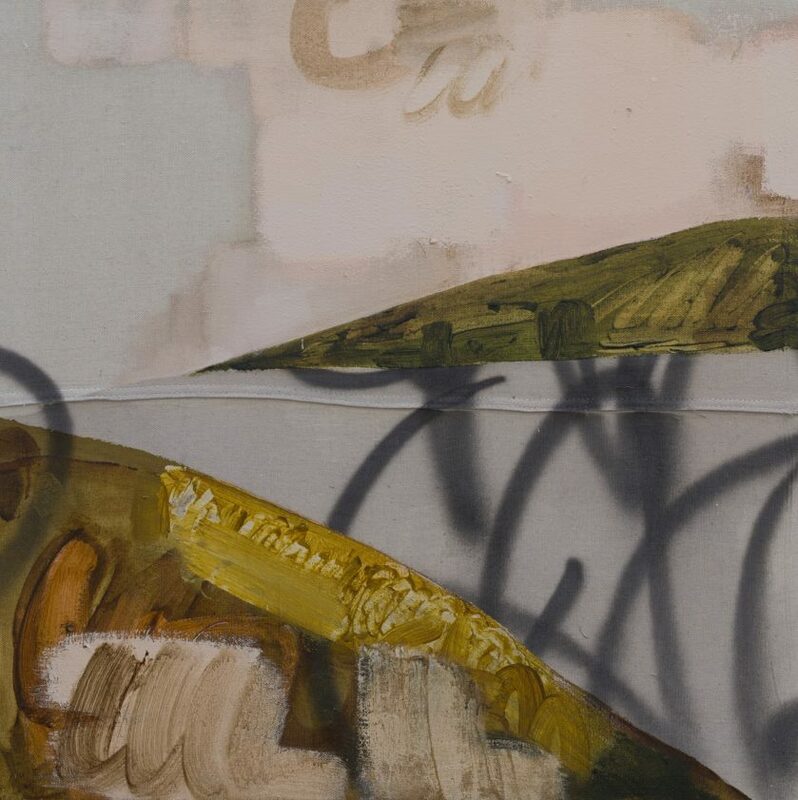 Pataialii uses motifs from urban and rural landscapes – rugby posts, picket fences, window curtains, smokestacks and maunga – abstracting and rearranging them to create poised and potent artworks loaded with dynamic formal energy. 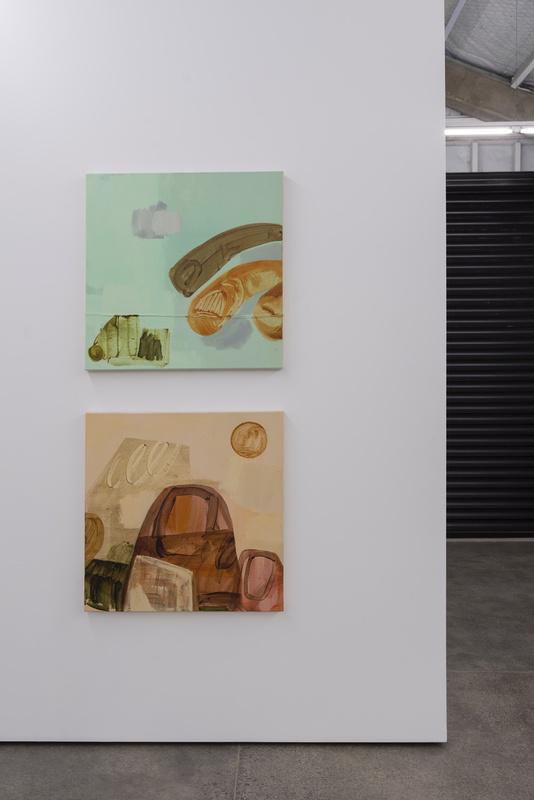 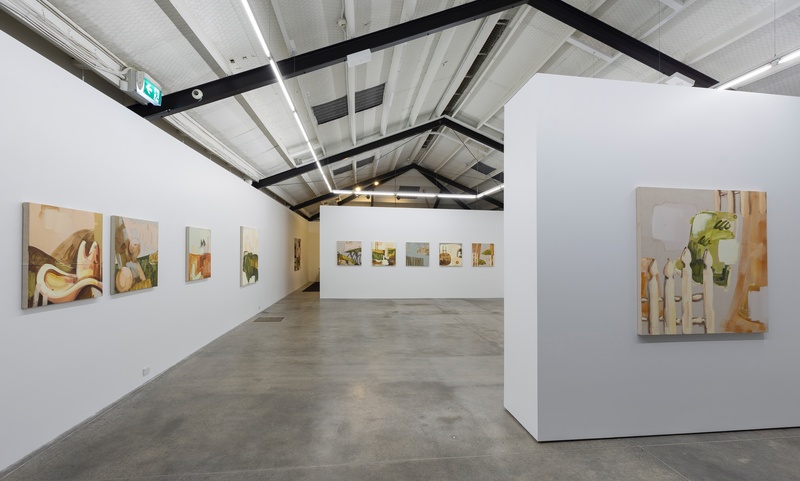 In a review of Pataialii’s critically acclaimed 2018 exhibition, Solid Gold, at Te Tuhi, ArtAsiaPacific writer Wei Hao Qi described the artist’s imagery as not only highlighting the sociocultural narratives that exclude certain groups, but also as being an exploration of diversity, community and the contemporary politics of nationalism.